The Upbeat Dad! 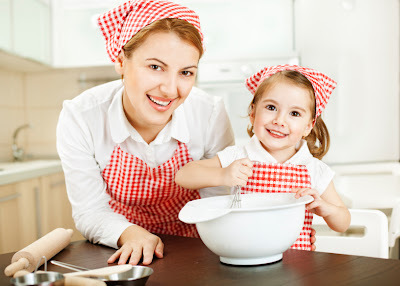 : My Mom’s The Best Contest: A Partnership with Pillsbury! 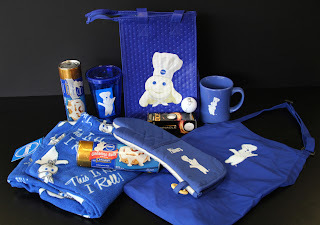 My Mom’s The Best Contest: A Partnership with Pillsbury! Well, Mother’s Day is here! I’d like to take the opportunity to pause and give thanks to all the women who have gone above and beyond the call of duty to be mothers. By no means is it an easy task to carry children in their wombs for 9 months and then carry them in their hearts for the rest of their lives. At the Upbeat Dad, we believe in the influential role that fathers can have on the lives of children. Far too often, mothers are left to raise the kids without a strong, involved father. But mothers are the constant, ever-present force in the lives of children. So for all that you do, mothers, we applaud you. We’d really like to celebrate the champions of our homes for the ways in which they have nurtured and cared for us. Why don’t you pamper your mom on this special day! Do something thoughtful and creative like: breakfast in bed; shower her with flowers; give her the day off while you take care of everything; plan a family picnic in the park. The possibilities are endless! We’d like you to share in the Comments section of this post, your thoughts on why your mom, your wife, aunt, sister, cousin, etc is the best mother the world has ever known. Try to be original and creative! The mom of your choice could be happily married; she could be single; she could be alive; or she could have passed on. Oh, and she doesn’t need to necessarily be a biological mother. All that matters is that she has lovingly cared for the child(ren) under her care; that’s something for which she ought to be honored on this special day. The giveaway package from Pillsbury that will be sent to the winner includes: Fleece Lounge Pants, Golf Balls, Lunch Sack, Oven Mitt, Apron and VIP Coupon. I know you and the mom of your choice will enjoy and appreciate the items. I’ve already received a package with the items noted above and they’re great! The VIP Coupons were for Pillsbury Grands Sweet Rolls! My wife and daughter can’t stop singing their praises! We want the mom of your choice to share in this as well! So just share your thoughts in the Comments section of this post. And leave your name – not your contact information. Entries will be accepted until the end of the day on Mothers Day, May 8, 2011. We will then review all the entries and select what we feel is the most intriguing, compelling post. We will then announce the winner by noon on Monday, May 9, 2011, within the Comments section of the blog. We will also announce it by Twitter and on Facebook. If you’re the winner, simply email us at: info@theupbeatdad.com with your contact information as well as the recipient’s information. The package will then be sent out immediately. The point of the giveaway and the partnership with Pillsbury is for us to collectively join in the celebration of motherhood on this special day. We owe so much to them for giving us and our children the gift of life. In my view, all of our mothers are winners – whether or not they receive the giveaway package. They are champions in our homes and in our hearts. Thanks to Pillsbury for helping us to create this “feel good” moment by telling the world how wonderful our moms are. 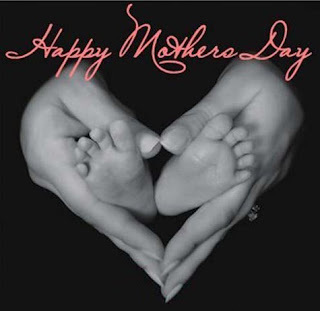 Enjoy this special day with your mom and/or the mom of your children. Let her know just how precious she is. Make it a memorable Mothers Day! Wow, you've had me thinking about this for a while and I just can't do it...I can't summarize what my mom means to me in the comments! So I narrowed it down to this one thing: her fierce and unconditional love for me and my brother. The rest is icing on the cake! I myself don't know where to start, but those who really know me, know that it was not an easy feat for my mom to raise me! To say that I gave her many sleepless nights would definitely be an understatement! To say that she spent many nights on her knees in prayer, would be an even bigger understatement! Nevertheless, she never gave up on me, and it's because of this that I am the young lady that I am today. There are not enough ways for me to show my gratitude, so this tribute serves as a means of telling the BEST mom in the world, THANK YOU!!! My mom was absolutely amazing. My dad passed away when I was 6 and my younger brother was 2. My mom went back to work full-time, finished college and earned her Masters degree. We never lacked for love and there was always plenty of food on the table. Her hard work and dedication inspired me to earn my own Masters degree. Now that I'm in my 40's, I look back with wonder at how amazing my mom truly was. She passed away over 10 years ago and I still truly miss her. One amazing and powerful black woman. Thanks everyone for participating. All very good entries, each of which could be the winner. However, we've chosen Andrea's entry. Thanks to you, The Aums Mama and Calvin, for being original and sharing from the heart. For all mothers, I say Happy Happy Mothers Day! I hope it was a great one for you!